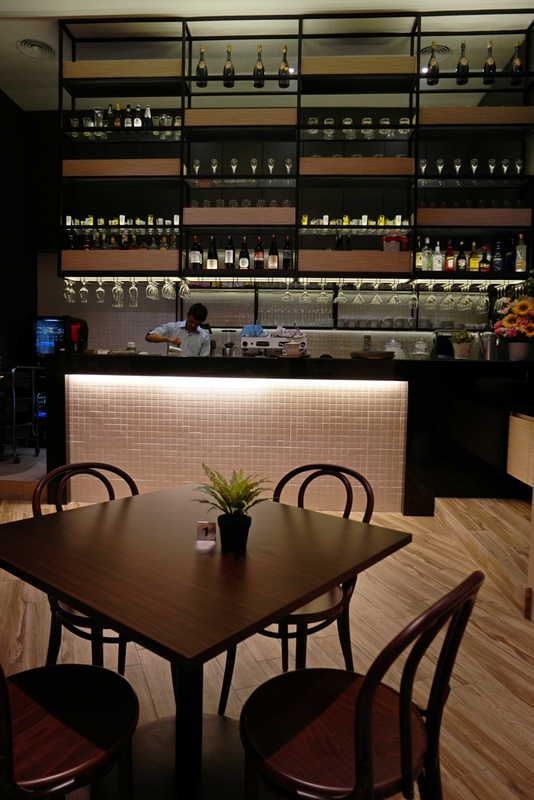 You may have heard of D Empire Art of Cuisine during their tenancy in Main Place Subang Mall. They have since seized operation there and is now operating on Level 6, Pavilion KL. We were here yesterday evening to show our support to Chef Dallan Tan at this new place. D EMPIRE is a European cuisine restaurant. Tastefully decorated to give diners that feeling of luxury upon entering the restaurant, it can be intimidating though as we expected the price of the food here to be on the higher side. However, after browsing through their menu, we were surprised to find comfort food at very affordable prices. Let’s have a look at what our family had that evening for 2 adults and 2 kids. They serve a fine selection of wines too but since we don’t drink wine when dining with the kids (as they liked to share a sip of our drinks), I opted for their mocktail instead. I ordered their Forever Famous Mocktail – the Fruit Punch. A combination of orange, pineapple, mango, apple and a dash of grenadine syrup, this makes a very delicious thirst quencher. The Daddy had freshly squeezed and refreshing pineapple juice with no added sugar. Both Ethan and Ayden are recovering from cough so we ordered Hot Honey Lemon for them. It is served in a tea pot and is priced at RM10.90 per pot. We made the right decision as the boys especially Ayden really enjoyed drinking this soothing concoction. Gorgeous garden green salad with toasted bread, walnuts, apple slices, beet roots, tomatoes and Norwegian smoked salmon served with lemon dressing. A combination of soft and crunchy textures with sweet and tangy flavours is just right to start our dinner. A healthy and nutritious vegetarian soup that consists of onion, carrot, zucchini, celery, potato, chunky tomato and mushroom beans, it warms our soul with its savory flavour and wonderful aroma. Chunky assorted mushroom soup that is full of hearty, earthy mushrooms to warm our soul. Our starter is this timeless garlic-and-herb-flavored dish. The snail itself has a wonderful flavor and the texture is similar to a mushroom. I actually enjoyed dipping the baguette in the garlic butter sauce more. So satisfying! Ethan had the ultimate Italian favorite: spaghetti carbonara with smoked chicken ham. You may have it with beef bacon if you don’t fancy chicken but my boys prefer chicken to beef. Ayden had the spaghetti bolognese with minced chicken. They also have a choice for beef. Both the boys thoroughly enjoyed their pastas as they were done just the way they liked it – cheesy bacon goodness for the carbonara and hearty and intensely flavorful spaghetti bolognese. You may choose either spaghetti or linguini and the pastas here are cooked fresh to order. I seriously don’t mind waiting for at least 15 minutes as nothing beats having freshly cooked pastas over those pre-boiled and tossed in hot water before serving ones. The Daddy will always order fish and his selection this time is the fresh from the ocean Norwegian Salmon Trout. Wild, not farmed, the salmon trout has delicate firm flesh with no fishy smell. Darling was asked how he liked his salmon trout to be cooked – medium or well done and as usual, he likes it medium. It is soft yet firm and very rich in taste. I ate some of this and can actually feel the velvety softness of the salmon trout when I put it into my mouth, yet the texture is firmer when you bite into it. I was feeling carnivorous that evening hence I ordered this grass fed Australian Rib Eye steak and ate all 25o gms of it by myself as Darling doesn’t eat beef. Cooked medium rare as per my request, this juicy steak has a rich and bold flavour. I enjoyed every bit of it and kept telling Darling it is such a waste he doesn’t eat beef as he is missing out something great tonight but he kept telling me he had something even better, the Salmon Trout which I have to agree. If you have dined at D Empire, be it back at the Main Place or here at Pavilion KL, you will definitely agree with me when I say they serve really good food. The best part has got to be the reasonably priced menu that keeps patrons returning for more. They also serve affordable Set Lunches from Mondays to Fridays. Best of all? All quoted prices are nett and inclusive of 6% GST! A nice family dinner in this beautiful place. Price looks okay to me. Oh nice. Love the ambiance of the restaurant. Looks so classy. I would love to order the salmon dish too. Set lunch looks good but the drinks are just soft drinks or lemon tea whichis sugary drink. Would prefer if they include hot plain tea too.